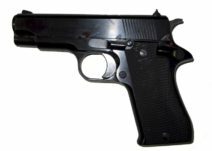 The Star Model BM is a single-action semi-automatic pistol that fires the 9 mm Para pistol cartridge. It was produced by Star Bonifacio Echeverria, S.A. in Spain. 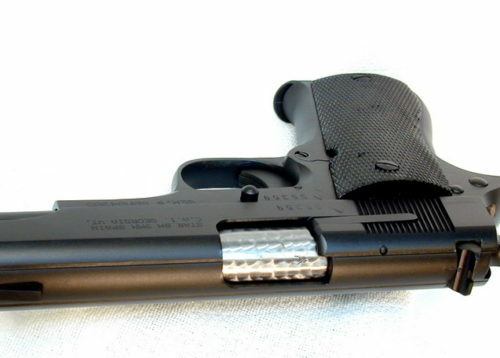 Although its external appearance resembles the classic M1911, its design is different in several respects. For example, the Star does not have the 1911’s grip safety. In addition, the thumb safety on the Star disengages the sear, whereas it blocks the motion of the sear on a 1911. 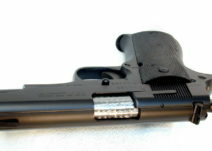 The pistol is fed by an 8-round detachable box magazine.